Pope Francis’s new encyclical Laudato Si is, as expected, making a lot of waves. Though it maintains the criticism of market ideology found in both Pope John Paul II and Pope Benedict XVI (the latter even once called for a “New World Order” capable of restraining the destructive effects of unfettered economics), Laudato Si is unambiguous about what needs to change. Even conservative commentators are noticing there is little wiggle room, opting for outright critique of the document rather than simple domestication. Laudato Si addresses, however, the undeniable situation of humanity today, one in which humans can and do actually change the environments we find ourselves in—and Pope Francis recognizes that we can no longer afford to ignore the increasingly toxic environment we are actively producing. Pope Francis recognizes that we can no longer afford to ignore the increasingly toxic environment we are actively producing. In a recent article published in Rolling Stone, Paul Solotaroff tells the story of a fracking town, Vernal, Utah, where infant mortality rates are rising at an alarming rate. The discovery of this tragedy was made not by the EPA, and certainly not by those in the fracking business, but by a midwife, Donna Young, for whom infant mortality rates are not a statistic but a lived reality. As Solotaroff narrates, the conditions of Vernal are hardly inviting for the fragile development of new lives. Fracking, which injects high-pressured fluid into the ground in order to force the gas underneath to the surface, produces a variety of derivative environmental effects—perhaps most troubling are the carcinogenic gases that populate both the air and the ground. Vernal’s location in a basin only compounds the problems, since the bowl traps the gases producing a thick haze of contaminants. When Young began to investigate the unusually high numbers of infant deaths and troubled pregnancies she was encountering, her reputation and position were quickly maligned—for a town that depends on fracking to exist, calling its adverse effects to the fore is a dangerous political move. Young’s story is heartbreaking, a classic case of someone trying desperately to speak the truth for the common good but being squelched for the sake of deep pockets. But Solotaroff’s article brings another important question to the fore, namely, the general problem of atmospheric conditions. Vernal is a town where the environment is literally becoming unsuitable for life. Vernal is not only a tragic narrative; it functions as a microcosm that forces us to come to terms with how human beings actually exist. 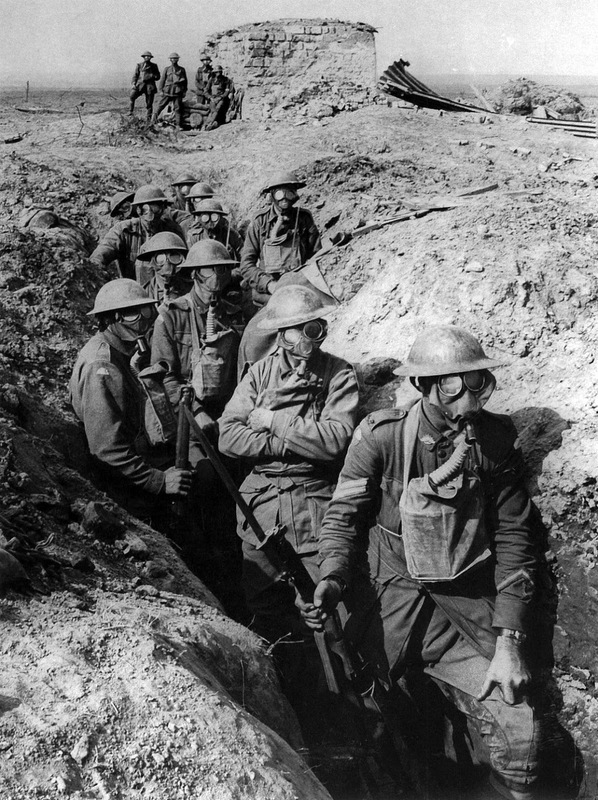 In his book Terror from the Air, German philosopher Peter Sloterdijk explores the philosophical consequences of a specific event that reveals something not unlike fracking in Vernal: the first use of chlorine gas in war by the Germans against Canadian forces in 1915. Gas warfare marks a significant shift in the history of war generally, wherein the goal is not to attack the enemy body, but the very environment that allows that body to live. It attempts to turn the enemy’s conditions for existence against her, until her very breathing reflex becomes a threat. Sloterdijk calls this humanity’s discovery of its environment, where what is taken for granted and therefore not usually thought of—our simple process of breathing—is suddenly painfully obvious. We discover that humans are not self-sufficient but require the inhalation and exhalation of air, a point that seems intuitively obvious but has far deeper consequences for how we understand ourselves. “We begin to understand,” writes Sloterdijk, “that humans are not only what they eat, but what they breathe and that in which they are immersed” (84). Humans take inside what is outside, and in turn give to the outside what is inside. We are dependent on a vast network of precarious environmental factors that are simply given, factors that we slowly learn were there all along (as though a fish could suddenly understand the water in which it is swimming). But most importantly, the event of gas warfare reveals that such an environment is not always trustworthy, and perhaps more importantly that our exhalation is no longer simply biological but also technological—we put into the atmosphere not only the carbon dioxide from our natural breathing, but also the atmospheric byproducts from a drastically large multitude of our own creations. In our own time, we find ourselves caught between this realization and naivety. On the one hand, we put this insight to work all the time, in proliferating environmental warfare and climate controls. On the other hand, our fossil-fuel economy and how it is maintained reveal that we have yet to really understand the truly precarious situation in which humans find themselves. Our lives are dependent on a given greenhouse that, heretofore, has made humanity possible; we are spoiled with an atmosphere we ourselves did not create. But as Sloterdijk explains, “The signature of the fossil energy age is shown in the fact that the spoiled jeopardize their spoiledness by running the risk of anthropogenic overheating…” (91). We did not create our environment, but we are capable of shaping it in such a way that it might yet become uninhabitable through our inability to understand what it means for us to technologically exhale, while our inner ecosystems are slowly toxified by what we settle for as acceptable air to inhale. Back in Vernal, Donna Young knows very well what it means for us to allow our atmosphere to become a toxic haze instead of a rich greenhouse—it means stillborn babies and unusually small placentas. The philosophical consequences of tragic events like these, or the awful innovations of World War I, mean that it is not enough to simply go on without thinking intentionally about our practices and the kinds of environments we are willing to accept. Moreover, it is not enough to describe, as phenomenologists do, the plain (or even saturated) givenness of our existence. It means doing the hard work, philosophically and otherwise, of thinking about intentional design. “We are condemned to being-in, even if the containers and atmospheres in which we are forced to surround ourselves can no longer be taken for granted as being good in nature,” writes Sloterdijk (108). If the air cannot be taken for granted, and if we are already creating its conditions, it falls to us to refuse the blinders of naivety and ask what it might mean to produce, or stop producing, the kinds of things that allow us to live within the only planet that we have. It means doing the hard work, philosophically and otherwise, of thinking about intentional design. This makes Pope Francis’s encyclical all the more immediately relevant. One need only read paragraph 20 to see that Pope Francis readily understands the toxic air conditioning Sloterdijk warns us about . Not content to merely rehearse a doomsday scenario, Pope Francis draws from the deep reserves of a religious tradition that claims a huge number of participants among its members, and a tradition that provides an important measure of discernment to Sloterdijk’s (correct) call for reflection on how technology might reverse the very conditions it helped to produce (see chapter III of Laudato Si). One might reasonably disagree with a variety of fine points in Laudato Si, a document that is as much about a host of other controversial Catholic doctrines and stances as it is about extending the insights of Catholic social teaching and recent papal economic thought. But one must not lose sight of the watershed moment Laudato Si actually is. Pope Francis has attempted to make explicit on a grand public scale what still remains for many people only implicit: namely, the network of economics, politics, and the environment which requires significant rethinking. We need a new form of climate control, or as Pope Francis might say climate communion; an air conditioning where one can feel the Spirit of liberation blowing and the vital breath of God who breathed life into humanity, our first lesson that we are, indeed, climatological creatures running on borrowed air. As a moment in not only Catholic but human social self-understanding as a whole, Laudato Si shows that the atmosphere can indeed no longer be taken for granted but requires intentional, caring intervention, motivated by a heart for the poor, a recognition of the interconnection of the world, and a vision of love. Failure to hear this call for change, or dismissing it through a variety of cynical polemics, is not an option. We might soon find it is not so much that the unexamined life is not worth living, but that, in fact, the unexamined life is no longer capable of living. Tragically, this is a warning to which the loss of precious infant lives in Vernal, who themselves had a claim to be part of our “common home,” already testifies. 20. Some forms of pollution are part of people’s daily experience. Exposure to atmospheric pollutants produces a broad spectrum of health hazards, especially for the poor, and causes millions of premature deaths. People take sick, for example, from breathing high levels of smoke from fuels used in cooking or heating. There is also pollution that affects everyone, caused by transport, industrial fumes, substances which contribute to the acidification of soil and water, fertilizers, insecticides, fungicides, herbicides and agrotoxins in general. Technology, which, linked to business interests, is presented as the only way of solving these problems, in fact proves incapable of seeing the mysterious network of relations between things and so sometimes solves one problem only to create others. Dean Dettloff is a Junior Member at the Institute for Christian Studies, pursuing an MA Philosophy, where he is working on a thesis exploring Peter Sloterdijk's work on cynicism and creative action in spiritual life. First image by Captain Frank Hurley. [Public domain], via Wikimedia Commons. Nicely done Dean. I am myself fascinated by this Jesuit pope's appropriation of St. Francis of Assisi and the Franciscan tradition. When I was a grad student at the Pontifical Institute for Mediaeval Studies, Fr. Joseph Quinn was responsible for teaching the philosophy of St. Bonaventure, a Franciscan of the second generation, Master General of the order and exact contemporary of Thomas Aquinas as both student in Paris and as regent master there. Fr. Quinn always insisted that Bonaventure's philosophy could and should be used to buttress a ecologically sensitive approach to the creation and marked as crucial here Bonaventure's appropriation of St. Francis' sense of the world when seen with the eyes of faith--Brother Sun, Sister Moon etc. It seems to me that Fr. Quinn was on to something, and from what I understand, St. Bonaventure is an important source for the encyclical: the Francis/Bonaventure nexus rises again and ICS's medievalist has more work to do. I was wondering when our friendly neighborhood medievalist might pipe in. I, too, was struck by Pope Francis taking his namesake's prayer so seriously, and found it incredibly uplifting. It's an interesting experiment, bringing texts by St. Francis or St. Bonaventure to bear on such radically different times. I know the good folks at St. Michael's College have been working on these issues for some time; given ICS's interest in postmodernism, technology, and ecology, building those bridges would no doubt be a fruitful ecumenical move. The Canticle becomes a constitutive spiritual exercise at the foundation of the Franciscan tradition in philosophy and theology. It makes a difference if you approach something as if it is someone and not just someone but a sibling. You will treat it differently. Francis goes so far as to include the four material elements--earth water air and fire--in his familial purview. Plants, animals, and other humans are much more obvious candidates. Anyway, I teach a course on how individuality gets thematized by Scotus and Ockham as a way of exploring the implications of Francis' orientation to existence within the Franciscan tradition. Pope Francis looks to make my teaching much easier the next time that course is taught.